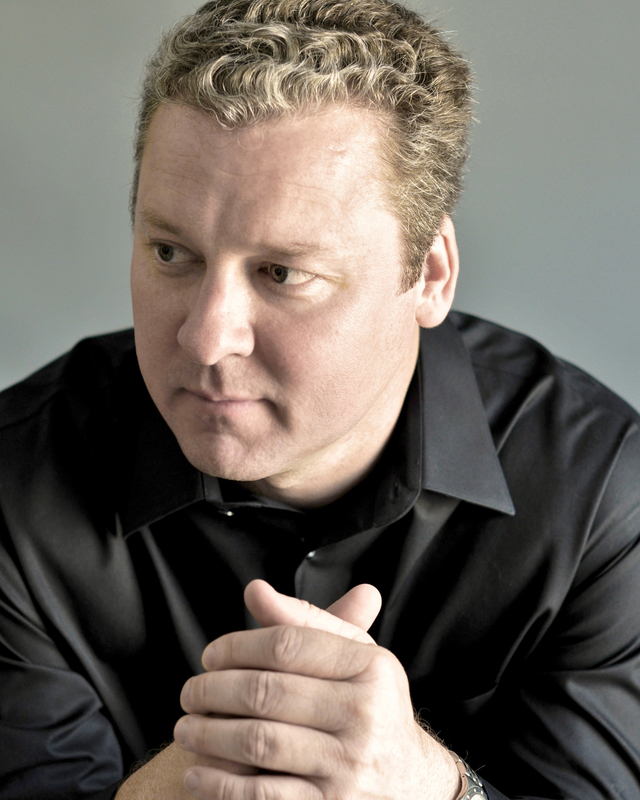 Opera News praises tenor Chad Shelton for one of his trademark roles, claiming that his “Don José was the dramatic heart of this production; this was a performance that grew in complexity as he struggled to reconcile the forces of loyalty, lust and fate. Shelton owned the final scene, as his character descended into despair fueled by psychotic obsession. His bright tone amplified the intensity of the last gripping moments.” In the 2017-18 season, he returns to Houston Grand Opera for two exciting role debuts: Pollione in Norma and Aegisth in Elektra before returning to the Metropolitan Opera roster for the latter title. He also returns to Austin Opera as Don Jose in Carmen and the Phoenix Symphony for Beethoven’s Symphony No. 9. Last season, he made returns to the Grand Théâtre de Genève for his first performances of Sir Edgar Aubry in Der Vampyr and Houston Grand Opera to reprise Chairman Mao in Adams’ Nixon in China and sang Don Jose in Carmen on tour in Japan as a guest artist of the Seiji Ozawa Music Academy Opera Project. He also returned to the roster of the Metropolitan Opera for its production of Cyrano de Bergerac. He has joined the Opéra National de Lorraine numerous times, including for the title role of Idomeneo, Giasone in Cherubini’s Medea, Don Jose in Carmen, Jack in Gerald Barry’s The Importance of Being Earnest, Lysander in A Midsummer Night’s Dream, Guido Bardi in Eine florentinische Tragödie, Lechmere in Owen Wingrave, Tamino in Die Zauberflöte, and the title role of Candide. He is a frequent leading presence with Houston Grand Opera and has joined the company previously for Alfredo in La traviata, Don Jose in Carmen, Pinkerton in Madama Butterfly, Froh in Das Rheingold, Cavaradossi in Tosca, Fredrik Egerman in A Little Night Music, Camille in Die lustige Witwe, Janek in The Makropolous Case, Tamino in Die Zauberflöte, Captain Vere in Billy Budd, and Nemorino in L’elisir d’amore. Acclaimed for his performances of contemporary works, he also created the roles of Nico in Lysistrata and Laurie in Little Women (released on the Ondine label and broadcast on PBS), both by Mark Adamo, and Charles II in Floyd’s Prince of Players and Ulises in Catan’s Salsipuedes in addition to singing Arcadio in the composer’s Florencia en el Amazonas with the company. He made his Metropolitan Opera debut as Rodrigo in a new production of Otello and has also joined the company previously for its production of Elektra. He has also sung Prince in The Love of Three Oranges with Grand Théâtre de Genève, Lysander in A Midsummer Night’s Dream with Théâtre de Caen; Tamino in Die Zauberflöte with Grand Théâtre de Genève, Opera Pacific; further performances of to the title role of Idomeneo with Théâtre de Caen and Grand Théâtre de Luxembourg; Erik in Der fliegende Holländer with Boston Lyric Opera; Pinkerton in Madama Butterfly with Opéra National de Bordeaux and Lyric Opera Baltimore; Don Jose in Carmen with Opéra-Théâtre de Metz, Portland Opera, Utah Opera, Festival Classique at the Hague, Pensacola Opera, and Opera Pacific; and Alfredo in La traviata with Austin Lyric Opera, Arizona Opera, Utah Opera, Nevada Opera, Opera Pacific, Central City Opera, Hyogo Performing Arts Center in Japan, and Pensacola Opera. He has also joined Central City Opera for a host of other roles including further performances of Laurie in Little Women, Pinkerton in Madama Butterfly, Don Ottavio in Don Giovanni, Fernando in Granados’ Goyescas, Cavaradossi in Tosca, and Reverend Paris in The Crucible. Other career highlights include Pilade in Ermione and further performances of Nico in Lysistrata and Laurie in Little Women with New York City Opera; E. Porter Alexander in the world premiere of Glass’ Appamattox with San Francisco Opera; Hindley in Floyd’s Wuthering Heights with Florentine Opera; Duca in Rigoletto and Edgardo in Lucia di Lammermoor with Austin Lyric Opera; Roméo in Roméo et Juliette with Madison Opera; Alfred in Die Fledermaus and Jacquino in Fidelio with Dallas Opera; Leo in Blitzstein’s Regina with Lyric Opera of Chicago and Florida Grand Opera. He has also sung Belmonte in Die Entführung aus dem Serail with Opera Australia and Portland Opera; Don Ottavio in Don Giovanni with Opera Colorado; and Ferrando in Così fan tutte with Arizona Opera, Kentucky Opera, and at the Hyogo Performing Arts Center. His contemporary repertoire also includes further performances of Little Women with Central City Opera, Chautauqua Opera, and Opera Omaha; Tom Rakewell in A Rake’s Progress with the Teatro Municipal de São Paulo and Lyric Opera of Kansas City; Sam in Floyd’s Susannah with Chautauqua Opera; and George in Danielpour’s Margaret Garner with Cincinnati Opera and the Opera Company of Philadelphia.